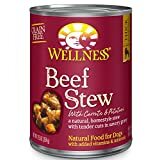 Wellness Natural Grain Free Wet Canned Dog Food Beef Stew with Carrots and Potatoes is a natural, grain-free dog food for adult dogs presented in a homestyle stew with tender cuts in savory gravy. It's an everyday entree that is a delicious and nutritious way to make more out of mealtime. These deliciously chunky, slow-cooked classics use whole food ingredients that provide exceptional nutrition and extraordinary flavor. 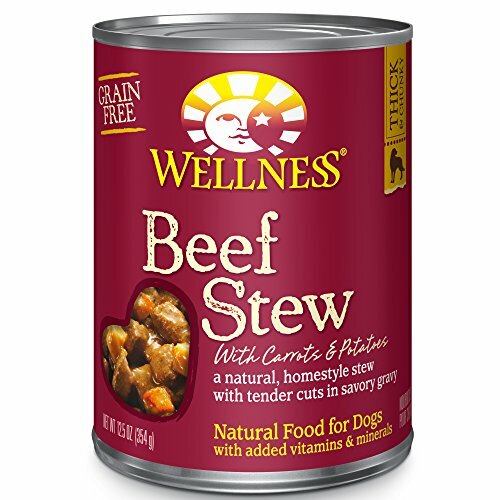 As a special treat or as part of your regular feeding, Wellness wet canned dog foods are yet another delicious way for your dog to eat healthy.